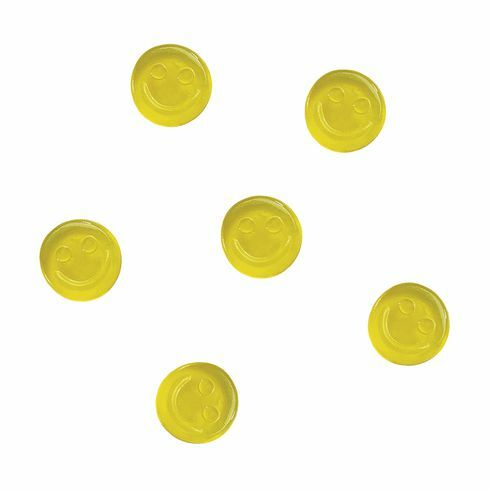 Yellow wine gums in the shape of a smiling face. Per 10 grams packaged in a sturdy transparent or white bag. Please state your chosen shape/bag when ordering. A tasty treat! Including an all-over print in one colour. Shelf life: 12 months. Not available without imprint.